Happy Brit Week! Actually the event already started last week and the British invasion continues with so many awesome events this week plus the not-to-miss event: sensational soul singer Alice Russell on her LA stops, touring for her new album! As we spring into May, there will be many May Day protest marches throughout the Downtown LA area. And as always, a bizillion film festivals this week. And to end it all is Cinco de Mayo on Sunday (with plenty of pre-parties on Saturday for those who can’t be having hangovers on Monday morning)! 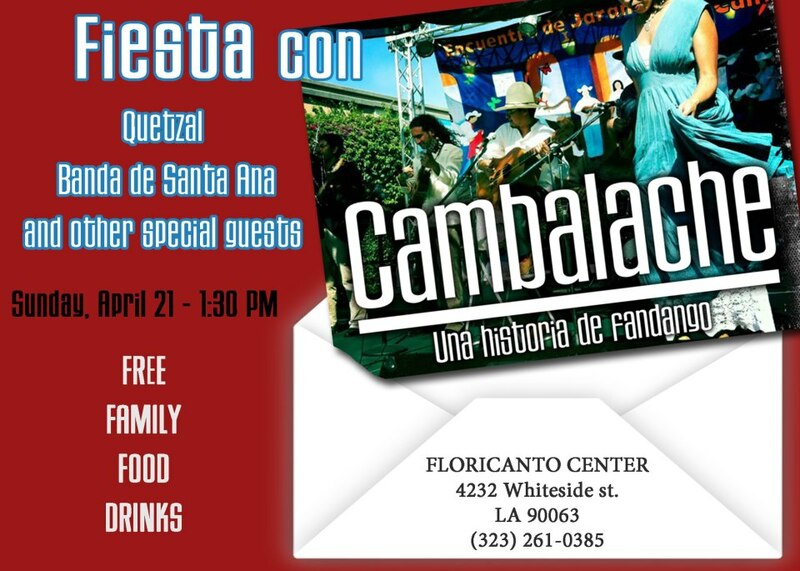 Here are just some of the very many awesome events happening around LA! Check back to this post often, as I always add more events as I hear about them! Do you have an LA hidden treasure or great cause people should know about? Let me know! Have a great week, Angelenos…dedicating this song to you all! 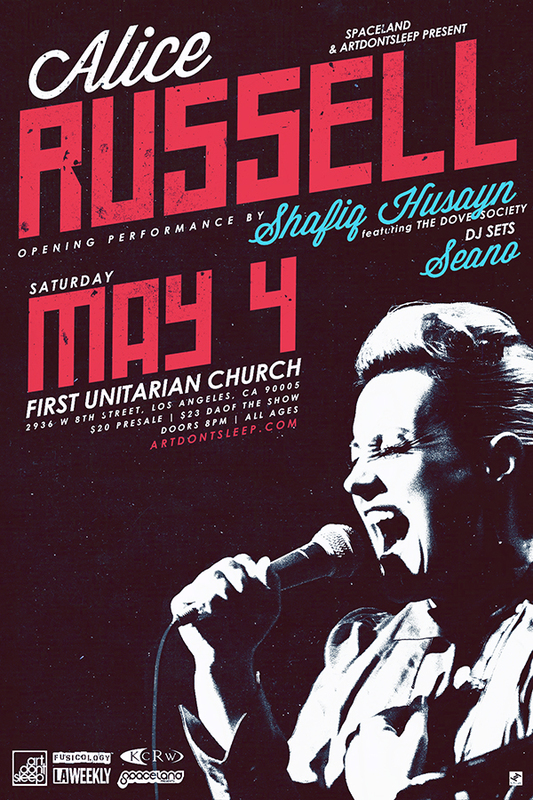 LA, you don’t want to miss Alice Russell‘s show in LA on Saturday, May 4! I saw her the first time at ArtDontSleep‘s That 70s Soul show and they are partnering with Spaceland for this show to be held at the First Unitarian Church, which is a very fitting venue for this spectacular UK soul singer who grew up singing in gospel choirs. There will be an opening performance by Shafiq Husayn featuring The Dove Society and Dj sets by Seano. Get your tickets now! You can also catch Shafiq Husayn this Saturday, April 28, at the monthly THIS event at NOLA’s in downtown.